all the Details are Leanne’s site if you would like to be part of the challenge. 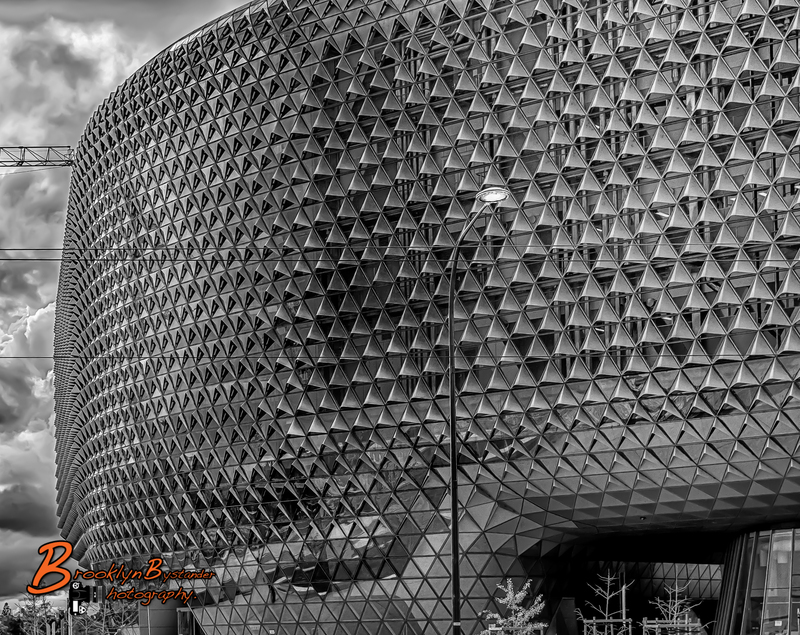 This entry was posted in Photography and tagged Adelaide, architecture, Leanne Cole, black & white, Health and Medical Research Institute, Lightroom, Monochrome, Monochrome Madness, SAHMRI, Silver FX Pro, South Australia. Bookmark the permalink. Beautiful! And with those clouds on the side…perfect! So glad you shared it! It’s awesome! Hi Michael.. This is my first time visiting you here, but have been enjoying your fabulous images on MMC. This is such an interesting building and I do like it in B&W. its very nice of you to visit my blog and glad you like my images. I haven’t been to Adelaide as yet, but will get there one day. The colour version is very interesting… it catches colour!